If you&apos;re thinking of changing up your hairstyle by adding bangs, I&apos;m on board. Bangs are chic, flattering, and a fun way to jazz up your look without going through a chemical process or committing to a major chop. Plus, they&apos;re back in a big way this season. 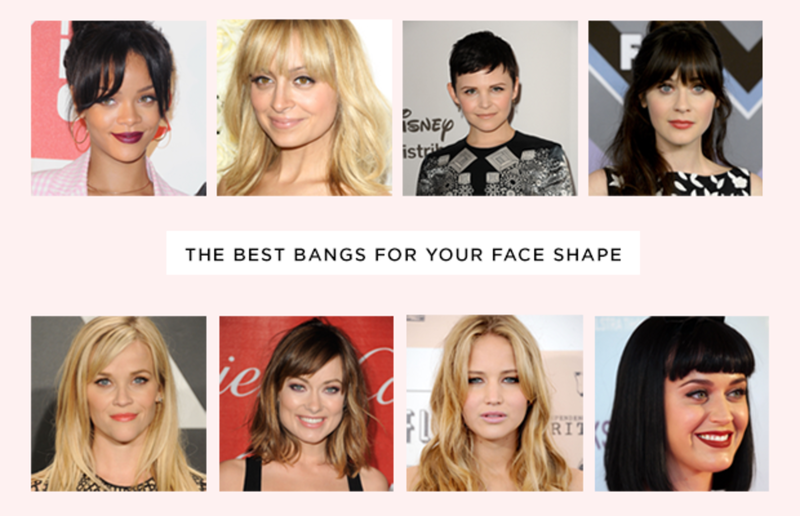 The key to great-looking bangs is knowing which type works best for your general face shape. Before you take the plunge, it&apos;s always a good idea to consult with your hair stylist--in addition to working with your face shape, consider whether the texture of your hair will lend itself well to what you have in mind. And remember to have fun with the change--it&apos;s hair, it&apos;ll grow back!--and I guarantee you’ll be rocking your new look. 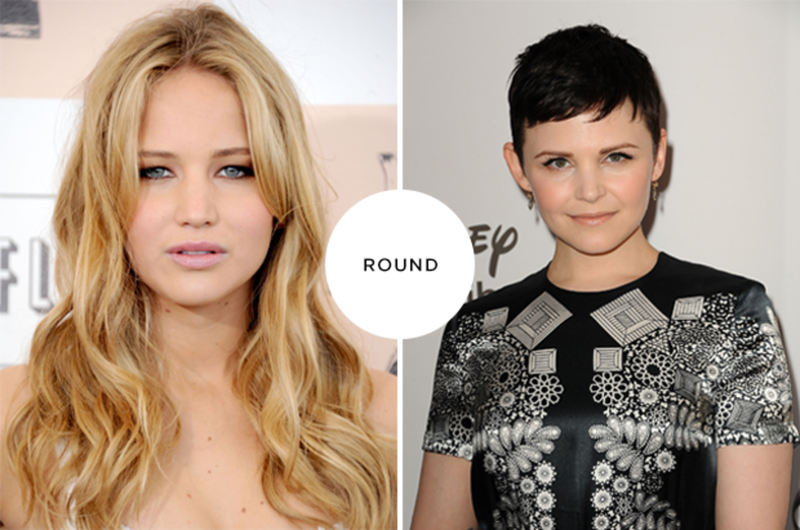 Celebs with round faces: Jennifer Lawrence, Jennifer Goodwin, Kelly Clarkson. Round shapes have a somewhat symmetrical, full face. 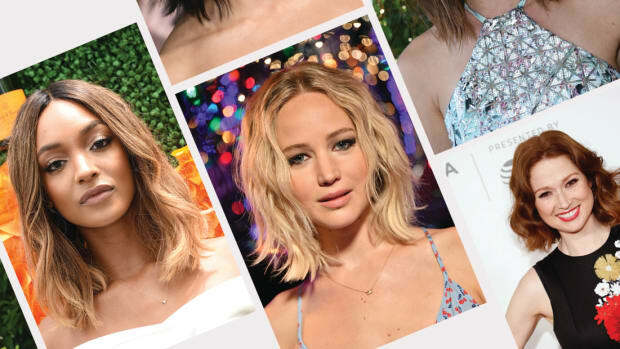 Choppy, asymmetrical bangs like Jennifer Goodwin&apos;s, or long, face-framing bangs with a center part, like Jennifer Lawrence&apos;s, will look amazing on you. These angled cuts will elongate your face, drawing the eye upwards and giving your face more vertical space. 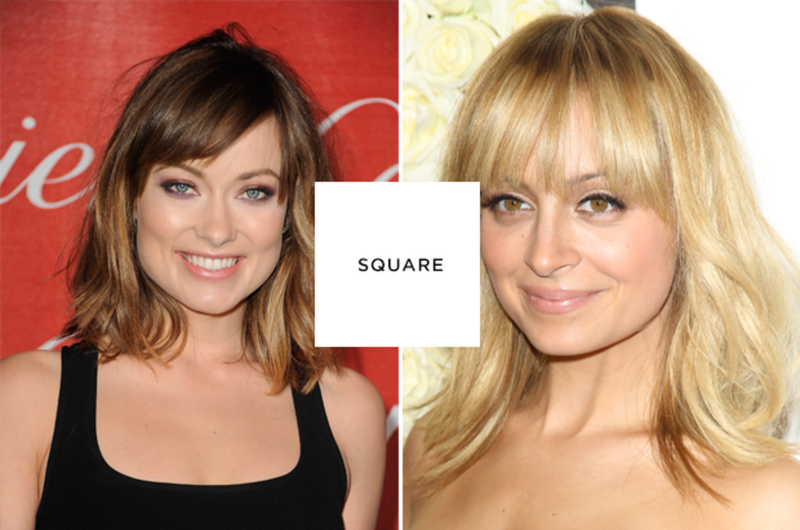 Celebs with square faces: Olivia Wilde, Nicole Richie, Keira Knightly. 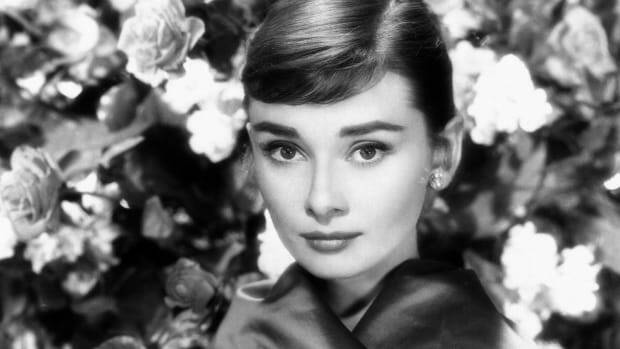 Square shapes are characterized by a wider jawline than forehead width. Long and side-swept bangs similar to Olivia Wilde, or thick and tapered bangs with wispiness in the center like Nicole Richie, will add more visual width to your forehead which will soften your features and bring attention to your eyes, balancing your jawline. 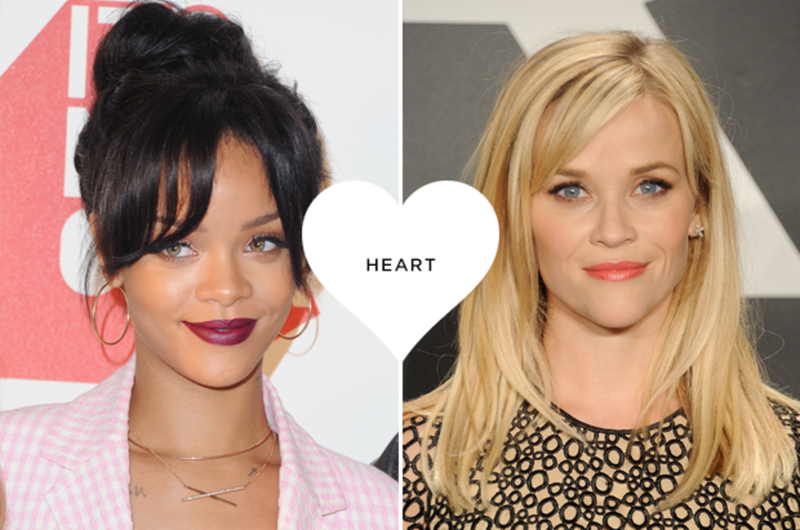 Celebs with heart-shaped faces: Rihanna, Reese Witherspoon, Jennifer Love Hewitt. 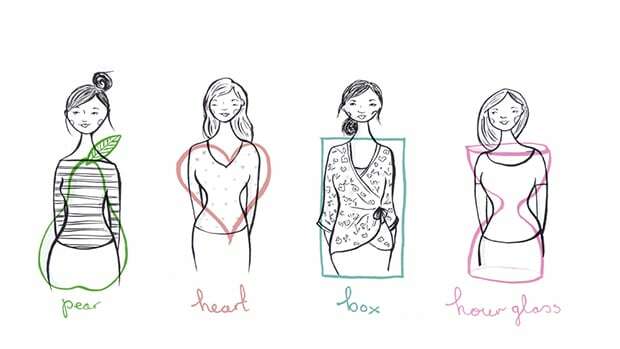 Heart shapes proportionally have wider forehead widths than their chin. 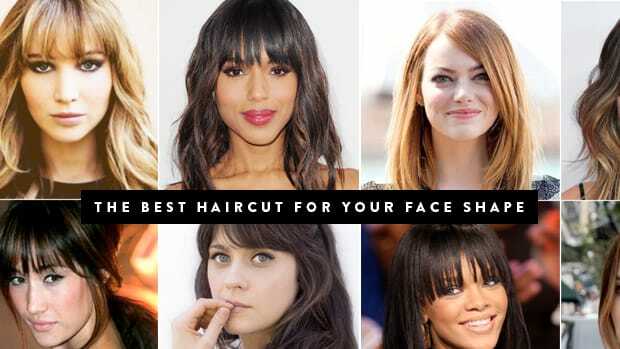 For heart-shaped faces, long and tapered bangs with center part like Rihanna&apos;s, or Reese Witherspoon&apos;s side-swept bangs, bring balance to a tapered chin and wide forehead. Celebs with oval faces: Katy Perry, Zooey Deschanel, Beyonce. For those with oval shaped faces, I encourage experimentation! 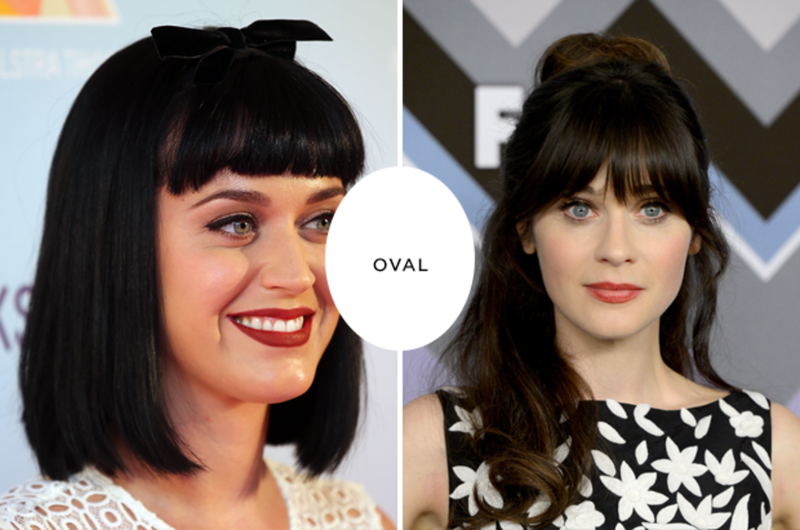 From Zooey Deschanel&apos;s long and tapered bangs to thick and short ones like Katy Perry&apos;s, oval shapes can more easily pull off a wide range of different styles because their long faces have more area to work with. 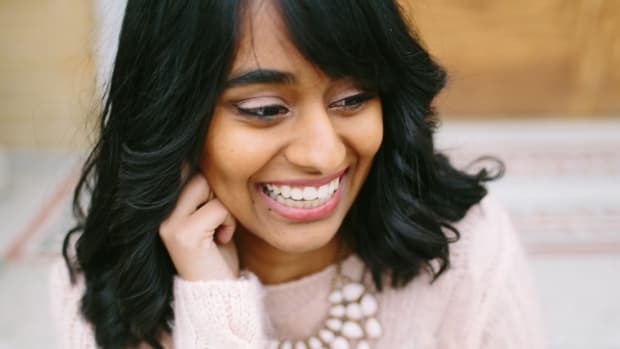 If you tend toward a long oval face shape, bangs will help add a bit of width and volume to your face so it will look more balanced, but it&apos;s better to err on the side of longer bangs, as short bangs add length. Stay cool in the heat with these shorter hairstyles. 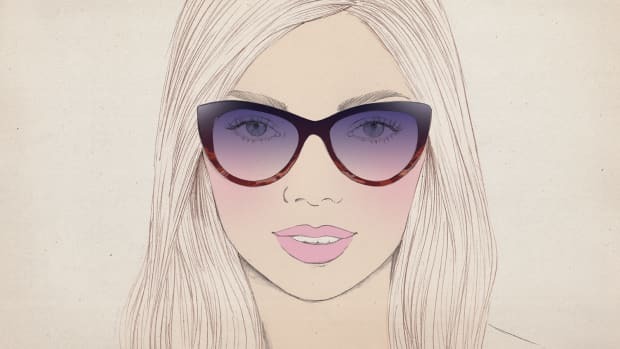 Find out which shades suit you the best. 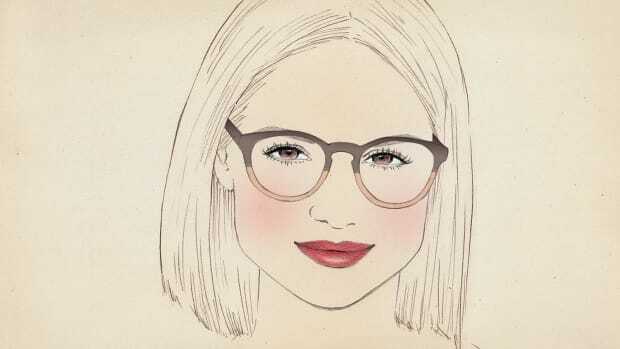 Frames are not universally flattering, so know your options before you buy. Who knew this trendy cut could be so versatile?